This page details the various tools I use to plan, build and execute search marketing campaigns for personal and client projects. I thought it'd be a helpful resource for anyone looking for new tools to help scale their online business. I update the page periodically with new tools I've tested and added to my arsenal 🙂 You can also find in-depth reviews showing how I use some of the tools to get results. Below you will find a table of contents to quickly navigate to specific sections. Disclosure: This page contains affiliate links. I have a strict policy to only promote products I personally use to run my business. If you decide to purchase a subscription/tool through an affiliate link I will receive a commission at no additional cost to you. This is how I fund the blog - thanks for your support! The SEO Playbook is my premium online SEO training course that teaches step-by-step systems ("Playbooks") to scale organic traffic and conversions. The course has 100+ over-the-shoulder training videos, 50+ templates and process documents, as well as a private Slack community with almost 200 SEO professionals ready to collaborate and answer your questions. Learn more about the course and see what other students are saying here. There are a number of hosting options out there. The one you choose will largely depend on where you are with your business. If you're just starting, a cheap shared hosting provider will serve you fine. If you're website is paying the bills, you should opt for a dedicated hosting solution. Bluehost is a solid hosting option for smaller websites. Why? It's inexpensive and incredibly easy to use with 1-click automatic WordPress installation. The customer service is pretty good too - both phone and chat support. You can use the same hosting account for multiple domains if you plan on creating multiple websites. This is a great cost-effective shared hosting solution for smaller websites. I use WPX for my personal websites (this blog is hosted on WPX), and recommend it to all my clients. Page load speed not only has a big impact on your search engine rankings, it can make or break your on-site conversions. I moved hosting over to WPX Hosting and cut my site load speed in half overnight! They are fully compatible with WooCommerce, run on super fast SSD servers, provide daily backups, PHP caching, unlimited email accounts and are co-located in the world's largest data center. They have ultra-fast support and will even migrate your website (and upgrade it to HTTPS) for free. Plans start at $24.99/ month (or $250/yr if you pay for the whole year at once). A no-brainer if your site has grown out of a basic hosting package. WordPress powers over 30% of the web. It's flexible, open source, super easy to use and has an army of developers out there building plugins that make it easier to use every single day. These plugins add functionalities to your website without needing to hire an expensive programmer. As mentioned above, Bluehost and WPX offer one-click WordPress installs which makes it super easy to get your site up and running in little time. SEMrush is my swiss army knife when it comes to competitor analysis and keyword research for both SEO and PPC campaigns. I'm able to plug in the URL of any of my competitors and find out how much organic and paid traffic they are getting, which keywords they are ranking for, the ad copy they are using as well as the landing pages they're using to convert traffic. I can completely dissect their online strategies with a single tool. I use it every single day! But don't just take my word for it. SEMrush was just rated #1 keyword research tool by 127 marketing experts, ranked as the top overall﻿ seo tool by 143 search marketing professionals, and recently topped the leaderboard as the best organic search and PPC competitor analysis tool. I wrote a comprehensive case outlining 34 ways I use SEMrush to spy on my competitors and build rock solid SEO and PPC campaign campaigns. Ahrefs has the best link index out there. I use this every day to perform technical audits, deconstruct my competitor's backlink profiles and build my own backlinks in combination with BuzzStream (listed below). Simply enter a URL and you'll be to quickly see all the links and referring domains pointing the website, identify the top content types and topics by link count, finding link intersects between multiple sites, perform domain comparisons, quickly identify and disavow toxic links. This tool forms the foundation of all my link building campaigns and pays for itself over and over again, even if you only use half it's functionality. Ahrefs was voted the #1 link building tool, #1 backlink checker, and the #1 SEO audit tool. Check out 50+ ways I use the tool for personal and client projects here. Long Tail Pro is an extremely powerful tool that will help you scale your keyword research and unearth thousands of profitable long tail keywords. The tool will find up to 800 keywords per seed keyword entered. Find out how many people are searching for long tail keyword variations each month, analyze the top 10 results in Google for each keyword, look at SERP data like keyword usage in Title and meta tags, domain and page authority, Moz rank, # of backlinks and the amount people are bidding on each keyword on platforms such as Google AdWords. Build hyper-targeted lists by filtering by keyword, suggested CPC bid, local and global monthly search volume and level of competition. Watch the video on this page to see how Long Tail Pro finds 3,800+ money-making keywords in seconds. If you want to build quality white hat backlinks to your website, then BuzzStream is for you. This tool will add jet fuel to your outreach and link building campaigns. What is it? Buzzstream is a CRM that allows you to quickly automate and scale your outreach efforts for guest posting, broken link building, content promotion and relationship building. I use this tool every time I want to promote﻿ or build links to a piece of content I've published. Extremely powerful tool! I just moved over to ConvertKit from GetResponse, and I'm very impressed with the tool. ConvertKit was built to meet the specific needs of professional bloggers, vloggers and authors. 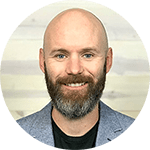 The UI is extremely user-friendly, the drag-and-drop automations are more powerful, and they even migrated all my content and drip campaigns over for free. But, one of the main reasons I switched to ConvertKit was because it allowed me to connect multiple lead magnets to a single automation series without having to create separate landing pages and campaigns for each one. I also wanted an email platform that would provide all the tagging, segmentation and automation components to launch a product. ConvertKit provides all that and more, and the costs are very comparable to inferior products on the market. Highly recommended! If you could only get one tool on this entire list, Thrive Leads would be it! This tool has taken my list building to an entirely new level. My popup is converting at 7.4% and I've managed to collect 1,124 new emails in the 60 days since installing the plugin (view the full Thrive Leads review). The tool allows you to create opt in popups, header bars, slide ins, in-post forms, lead links, sidebar forms while targeting them to specific parts of your website (categories, pages, post types, tags etc). This is perfect for content upgrades. On top of that, the plugin provides a powerful A/B testing engine. For example, you can test based on exit intent, scroll depth, page load, time on site and more. And, it's super easy! If you're serious about converting traffic into email subscribers check this tool out now! From $59 (one time fee). Sumo is another great tool I've used to build my email list. My favorite list building tool from the Sumo suite is the Welcome Mat. I've captured almost 7,000 emails with that tool alone over the last two years. The thing I like about Sumo is not only do they offer a ton of different list building tools - Welome Mat, Popups, Scroll Bars, Header Bars, embedded forms, light boxes, link triggers etc - all in one place, but you can get started for free. However, to get access to all the powerful targeting, testing, templates and reporting features, you'll need to pay a monthly fee. You can see how I used Sumo to get my first 4,635 subscribers here. Limited free (or starting at $29/mo.). Snappa makes it incredibly easy to build custom graphics for blog posts, social media and ads of all dimensions without Photoshop or graphic designers. The tool has hundreds of pre-built templates and beautiful stock photos to choose. You can also upload your own images, customize the templates or simply start from scratch. This tool saves me countless hours every month. Limited free accounts to $20/mo. for 5 person teams. QuuuPromote has quickly become my go-to tool for driving targeted traffic from facebook and Twitter. Simply log in, create a post, select the most relevant tags, and "quuu" it for promotion. For the next 30 days, community members within your niche will share your content with their audiences. Each time I schedule a new post in Quuu it generates hundreds of shares and loads of new traffic to my site...on complete autopilot. I love this app from Noah Kagan and the team at SumoMe. It allows you to add social share icons that stick to the page as the reader scrolls down the page and display nicely on mobile, tablet and desktop devices. You can select from 16 different social media channels and enable smart mode to have your most popular social icons display on a per page basis. This increases social proof and helps boost engagement. I've managed to generate over 11,000 social shares with this app 🙂 I can't believe it's still free! There are a bunch of tools listed here. I understand that many of them have a cost and some of you may not have a big budget to start with. I tried to include as many cheap/free but great tools as possible. However, the power of the premium tools listed above cannot be ignored. Some of these tools will help you trip the size of your business in a very short period of time. I personally use every tool listed above for both personal and client projects. In the near future, I'll be writing dedicated reviews/ case studies for each tool and linking to it from the list. If you have any questions about any of the tools listed above please reach out to me here. I reply to every email.